The previous news item was simply a ‘copy and paste job’ (for which we make no apology – you needed to read the news asap) of Porsche’s press release. Here we add plenty of flesh to the bare bones of that announcement. For most of its ‘gestation period’, this was a very well kept secret. It’s such a significant announcement, in several far-reaching ways that it had to be handled with the utmost discretion, which it certainly has been. With the exception of Chris Dyson, naturally, the drivers didn’t even know until very recently what was looming – although they knew that something major was in the works. 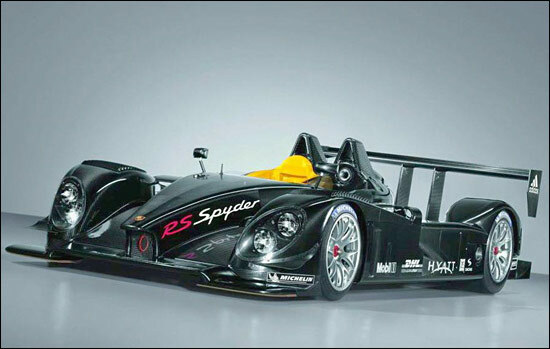 So in simple terms, Dyson Racing leaves behind the LMP1 Class of the ALMS, and its Lola B06/10 AER machines, to join in the throng that will be the LMP2 Class, with two, 2007 Porsche RS Spyders. That neatly recreates the Dyson Racing role as Porsche customers, the team having run Porsche 962s, with considerable success of course, from 1985 to 1991. Dyson’s own release reminds us that the team won first time out with a 962, at Lime Rock, its home turf, in May 1985. 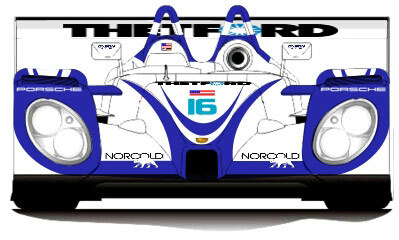 First race for the blue and white Porsche Spyders will be Sebring, in March 2007. Rob Dyson is the permanent connection between 1985 and 2007, and we duly acknowledge his role in American sportscar racing throughout more than two decades with the comment that his team has been entertaining sportscar fans – for generations. successful tradition brings a whole new level of enthusiasm to our team for the upcoming season. This is a reuniting of old family members, building on our partnership of mutual respect and a shared winning history." "We will be competing next year with a proven package that has race data and advancement behind it," added Chris Dyson. "Porsche won the ALMS (P2) championship last year and that is a strong selling point. Our team will be racing at the most competitive level in ALMS, where new teams, drivers and manufactures are going to be focusing their considerable resources. We will be able to showcase who we are as a team and concentrate on winning races and championships." An opportunity to speak to Chris Dyson two days ago revealed that the team owner / driver was naturally keen to look ahead to the new season, rather than back to the old one. “This is going to be a very strong partnership going forwards,” he commented last Saturday. He was happy to emphasise a point made by Porsche’s Hartmut Kristen (in Porsche’s press release) that “the RS Spyders for Penske and Dyson are exactly the same 2007 models and the engines we are providing to the teams are identical as well." “It will be a level playing field with Penske,” was Chris Dyson’s explanation – so one aspect of the frighteningly competitive P2 Class of the ALMS will see two giants of American racing, Dyson and Penske, going head to head, in a fair fight. It’s going to be enthralling. The Penske drivers have yet to be confirmed, but we already knew that Dyson Racing would have Chris Dyson / Guy Smith in #20, and Andy Wallace / Butch Leitzinger in #16. The first of the Dyson RS Spyders will be ready to go in time for the Sebring test in late January, the second will join the team in time for the 12 Hours of Sebring. Dyson Racing personnel are in Germany now, finding out how the RS Spyder goes together. That was almost as far as Chris Dyson was prepared to tread regarding the team’s experiences in 2006, racing against (mainly) the Audi R10s. He did add that “all we wanted was a chance to lose because we hadn’t done a good enough job. We increasingly felt that the outcome was determined each weekend by the rules, before we rolled the cars off the trucks." P2 is indeed to going to be the class to watch in the 2007 ALMS – which leaves Audi Motorsport with an interesting decision to make with its planning. It also leaves the IMSA officials with a fascinating challenge regarding the starting point for the P1 and P2 regulations. The ACO has already announced a 5% cut in performance for P2s in Europe – but would IMSA really want to implement that regulation, if there are relatively few P1 cars racing in the ALMS? The 2005/6 version of the RS Spyder has already shown how competitive it can be against the P1s – and the 2007 version is potentially faster still. Of the team’s decision to race the Lola AERs in 2006, Chris Dyson comments that “Lola and AER did a phenomenal job all year.” The Dyson drivers may have had a rather frustrating start to the 2006 season (with all new cars / engines), but teething troubles were soon overcome, and the B06/10s were consistent threats to the R10s in the second half of the season. But (an editorial opinion coming next) perhaps the sequence of events at Laguna Seca for round 10 of the ALMS firmly set Dyson Racing on course for a different challenge in 2007 – notably when the Audi diesels didn’t need to make a pit stop for fuel in the final stages of the race, thereby, thanks to their amazing economy, guaranteeing a certain win (assuming they eked out the fuel to the chequered flag). “P1 could become an exhibition class,” suggests Chris Dyson, “but some entrants might be happy to finish on the podium – which isn’t for us. “I think we will find buyers for the two Lolas,” he suggests – and why not? Perhaps the strength in depth in P2 will persuade at least one entrant that pickings might be richer in P1? Racers have been in the past known to select a class that offers them the best chance of success…. So what do the likes of Andy Wallace and Guy Smith think of what lies ahead of them next year? “I can’t wait to get my hands on the car,” says Guy Smith, who suddenly has all the patience of a five year old. So how do these two see the racing unfolding in P2 next season? Chris Dyson rounds up this momentous news with the prediction that “I think the ALMS has a really big future ahead of it.” A mention of Le Mans elicited the view that "in P2 we're in a better position to consider it. A class win would be intriguing to us." Perhaps not before 2008 though? It’s very hard to disagree with that comment. Four RS Spyders, three Acura-powered P2s, a significant announcement to come from Mazda (some good news for AER), the van der Steur Radical – and Intersport news to come. This is turning out to be quite a pre-Christmas week already. And finally.. we can’t resist a James Weaver tale. James and his family welcomed some friends to their home on Saturday evening, and James’ job was to buy the candles to illuminate the garden and guide guests to the rural Weaver retreat. James being James, he bought the £1 candles, which allegedly were almost impossible to light and burned out quickly – and any cost saving was offset by the extra cost in matches to light them. Good old James!